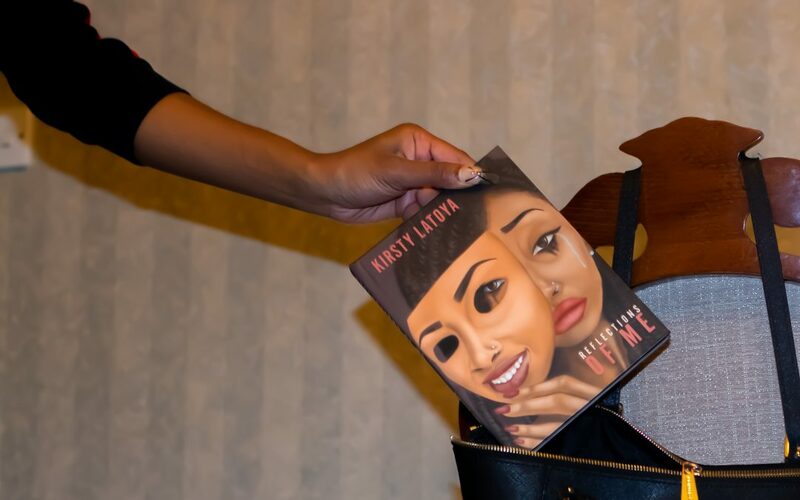 Kirsty Latoya is an artist and poet who grew up loving Nick Sharratt, the illustrator of the famous Jacqueline Wilson books. After the passing of her mother Rose she fell into deep depression and decided to use her pain to draw and help others. The book ‘Reflections of Me’ consists of poetry and artwork and is based upon her struggles with anxiety, Mafans Syndrome and scoliosis. The first poem ‘A Letter to My Friends’ addresses every friend who she had ignored or pushed away because of depression. As someone who has also pushed away friends and family in hard times, I understood her emotions. Growing up in a Caribbean household similar to Kirsty, the hush hush of problems is common and adjusting to being more vocal is a battle many face. The book includes other poems i “Mr. Wrong” “Roses for Rose” and “Pain in Your Eyes”. They all focus on different topics including body image, anxiety, the loss of her mother, masculinity, and many more. An extract from ‘Pain in Your Eyes’, this poem triggered thoughts of the battles women face, while trying to hide behind makeup. However, we live in a different time and the support systems and womanhood that is now prevalent means that we are able to tackle these issues together. With illustrations that also tell stories, from happiness to sadness and embracing every flaw, every woman needs a copy of this in her handbag. For those days to remind you that you are not alone and there are women out there trying to fight the brave fight and change the negative stigmas we constantly face.